At the entrance to the Royal Palace of Luang Prabang, the capitol city of Laos, there is a small abandoned temple called Wat Pa Houak. This temple, built the year 1841 formerly served as library for manuscripts. 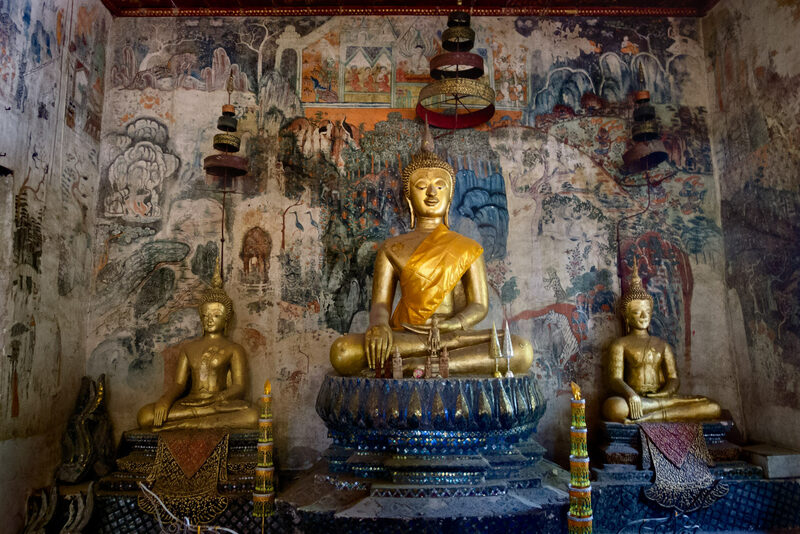 Currently little or nothing remains of that, just an altar to Buddha and fading paintings illustrating traditional life in Laos.